Legend Treks - Learn to explore. Explore to learn. You will arrive at the Casablanca airport during the morning and take a rapid train to the center of the city, where you will check into your hotel. After lunch you will tour the city. Casa, as Casablanca is popularly known, is a city of incredible contrasts. You will visit Hassan II Mosque, the world's third largest mosque. You will see a sprawling European-style city, home to wide boulevards, beautiful public parks and imposing Hispano-Moorish and Art Deco buildings. We will enjoy a delicious dinner at our hotel. After breakfast we will depart by train for Fez. 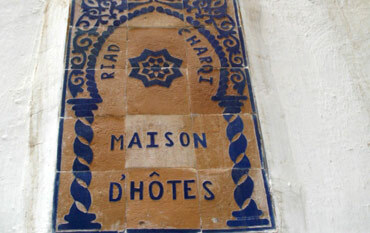 After we arrive we will transfer to our riad, the name for a hotel in the fabulous medina. 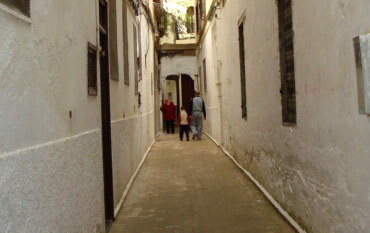 After lunch you will enjoy scenes which designate the medina (old city) a world heritage site and one of the best preserved living medinas in the world. You will enjoy a fabulous dinner in the comfort of our special overnight riad. After breakfast in the riad you will venture back into the medina and spend the morning wandering the various quarters for tanneries, dyers, leatherwork, brass, gold and silver. Late in the afternoon you depart Fez by train for Meknes and Volubilis. You'll transfer to a fabulous riad and enjoy a welcoming dinner, a fitting introduction to this special city. After breakfast in the riad, we begin our tour of Meknes. Lose your self in the fantastic olive markets and the massive Roua stables that once held 12,000 horses. Meknes is one of the four imperial cities. 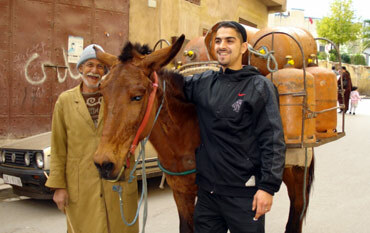 You'll find Meknes smaller than Fez. It's also more laid back, less hassle but still awash with the winding narrow medina streets and grand buildings befitting a one-time capital of the Sultanate. Admire one of the most impressive monumental gateways in all of Morocco, Bab el-mansour. End the morning with a tour of Volubilis, a romantic Roman ruin, the largest and best preserved Roman ruins in Morocco. After lunch we board the train for Marrakesh. 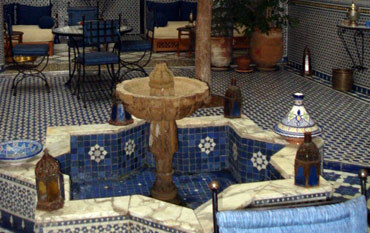 At Marrakesh you'll transfer to another outstanding riad. An exciting day in Marrakesh begins after breakfast in the riad. A tour of the city's highlights will get you oriented to this marvelous city. Stand in the middle of Djemma el Fna, the pulsating market square that anchors Marrakesh's medevial medina, and the whole world converges; snake charmers and scribes, henna vendors and henna-haired artists, all drawn to the city's exuberance. Sit in a Jasmine-scented courtyard at the Museum of Marrakesh. Sample authentic fare such as lamb with onion and tomato confit as well as pigeon folded in a crepe. Overnight in the riad. Breakfast in the riad, then free time all day in Marrakesh. Get steamed in a hamman, the Moroccan version of a steam room. From anywhere in the city you can see the 210 feet tall minaret of Marrakesh's most famous and venerated monument. Marrakesh has more gardens than any other Moroccan city. The rose gardens of Koutoubis Mosque, in particular, offer cool respite. After dusk the Djemma el Fna is fascinating- the performances, lights and crowds. The barely controlled chaos is as timeless and tireless as Marrakesh itself. Enjoy another restful night in the riad. After breakfast you'll be picked up and start south on an 8-10 hour drive to the Sahara. The oak forests and walnut groves of the Marrakesh plains give way to rocky cliffs and you enter into the dramatic Tizi-n-tichka Pass. You arrive in Quarzazate for lunch, 4-5 hours after departing Marakesh. If the region looks familiar, it's because it has been the backdrop for films such as Lawrence of Arabia, and more recently the Mummy and Gladiator. After lunch you embark on the last 4-5 hour drive to the Sahara, passing through the Draa Valley with its palmeraies, kasbahs and small villages. A stop at the Sahara Hotel in the village of M'hamid affords you the opportunity to relax, refresh and repack before dinner. After dinner you will be taken by 4 x 4 vehicle to a camp on the edge of the desert where you will spend the night in a nomad style camp, sleeping in a khaime (the traditional nomad tent made of woven wool). You'll awake with the sunrise and enjoy breakfast before starting on your camel caravan. Smart, sturdy, and generally good-tempered, the one-humped camel is the original desert 4 x 4. It is able to go several days without drinking, while carrying weight from 330-440 lbs. Its ride is smoother than a horse and as comfortable as a sofa. The Sahara is the largest desert on earth, encompassing over 3.5 million square miles. After a half day of camel riding, you'll stop for lunch and be picked up by a 4 x 4 vehicle that will take you deeper into the desert. Dinner will be prepared fresh while you explore the 350 feet tall dunes of the Erg Zhigaga. Your night will be spent at camp, sleeping in a tent or under the stars. After breakfast in camp, you'll begin your 4 x 4 ride back to M'hamid with a stop at an oasis on the way. You'll arrive back at the Hotel Sahara (a former French Foreign Legion barracks) in M'hamid by mid-morning. 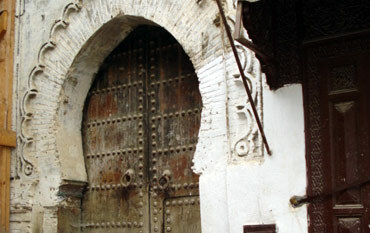 After a break to refresh, a guide will take you into a rural kasbah for a rare look inside a disappearing way of life. Its narrow, dark, sand streets are lined with traditional homes built of thick earthen bricks made from a mixture of clay and straw. After your tour of the desert and Kasbah, your driver will take you the 4-5 hours north to Quarzazate. You spend your night at a hotel before a flight out to the U.S.
After a hearty breakfast we transfer to the Quarzazate airport where we board our flight bound for New York via Casablanca. Fluctuations in currency exchange rates and seasonal factors must be considered when you finalize your itinerary. In addition, your cost will vary, based on features you may choose to add or subtract from the above itinerary. Legend Treks does guarantee, however, to beat the cost charged by any other major provider, for the same itinerary. Legend Treks can include international airfare advice and/or include the airfare in the final cost package. We look forward to hearing from you. We assure you this will be a life changing adventure. An exciting day in Marrakesh begins after breakfast in the riad. A tour of the city's highlights will get you oriented to this marvelous city. Stand in the middle of Djemma el Fna, the pulsating market square that anchors Marrakesh's medieval medina, and the whole world converges; snake charmers and scribes, henna vendors and henna-haired artists, all drawn to the city's exuberance. Sit in a Jasmine-scented courtyard at the Museum of Marrakesh. Sample authentic fare such as lamb with onion and tomato confit as well as pigeon folded in a crepe. Overnight in the riad. Breakfast in the riad, then free time all morning in Marrakesh. Get steamed in a hamman, the Moroccan version of a steam room. From anywhere in the city you can see the 210 feet tall minaret of Marrakesh's most famous and venerated monument. Marrakesh has more gardens than any other Moroccan city. The rose gardens of Koutoubis Mosque, in particular, offer cool respite. After lunch we board a bus for the 2 1/2 hour trip to the picture postcard coastal city, Essaouira. We will overnight in a gorgeous little riad. After a delicious breakfast we begin our tour of Essaouira. It's the kind of place where you'll sigh deeply and relax enough to shrug off your guarded attitude and just soak up the atmosphere. 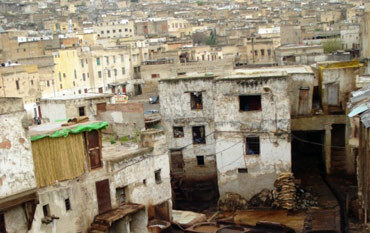 Essaouira's walled medina was added to Unesco's World Heritage list in 2001. The mellow atmosphere and narrow winding streets lined with colorful shops, whitewashed houses and heavy old doors make it a wonderful place to stroll. Enjoy the laid-back attitude, artsy atmosphere and bracing sea breezes. We overnight again in our intimate riad. After breakfast we begin our 6 1/2 hour bus ride along the Atlantic Coast to Casablanca. We will overnight there and begin preparing for our journey home. After breakfast we take the rapid train from downtown Casablanca to the airport for our return flight to New York. Get involved. Learn more about Trailside Community Action Program. A wealth of archaeological treasures. Amazon jungle. Soaring mountains. Desert coasts. Unlimited adventure. A fairytale land. Intoxicating scents and sounds. African magic. Marrakesh, the High Atlas, Casablanca. The jewel in West Africa's crown. The grand river Niger. Sahara dunes. A fascinating cultural mix of peoples.